We Photographers sure love our lenses! So much so that the previous article of a rather similar name received so much love that I couldn't help but write a follow up. The world is filled with amazing glass that doesn't have to completely bust the bank. Sure we all want that new Nikon 105mm f/1.4 and certainly the enormously priced brand new Nikon 70-200mm f/2.8E but do we really need them? I'd argue probably not, the market has an enormous selection of great lenses, many of which are cheaper and offer exactly what many photographers need. The 80-200mm range was the predecessor to the now coveted 70-200mm fast tele-zoom market. The 80-200mm lenses that Nikon offered were designed for pro shooters as they offered good optics and quality for a very reasonable price. Nikon even still makes one of them today; the 80-200mm f/2.8D AF-D, which, in my opinion, isn't such a great lens. I digress, however. First some history is in order. In 1997 Nikon released the AF-D version of the lens which is still in production today. For its time the AF-D was a decent lens and offered a reasonable pro option in a time before the 70-200mm focal range was even around. 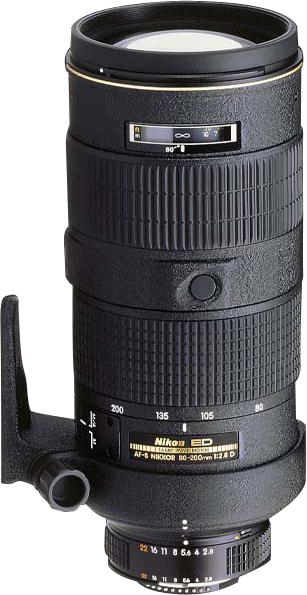 In 1999 Nikon released an AF-S version of the lens. The 80-200mm AF-S was larger and heavier but it was a considerable jump in quality over the AF-D version of the lens. It offered far superior optics, especially wide open, and enjoyed a faster, more accurate autofocus system. The AF-S version was also noticeably more expensive. Nikon manufactured the AF-S until 2004 when it stopped making them leaving only the inferior AF-D model at its lower price point. Why did Nikon make this choice to cut production on a superior product leaving only the cheaper 80-200mm? Because in 2003 the 70-200mm f/2.8G VR hit the market at a slightly higher price than the AF-S. That first 70-200mm had about the same optical quality as the 80-200mm AF-S and offered an upgrade in the form of VR. Presumably, Nikon felt that the products were too similar in terms of both quality and price so opted to discontinue the 80-200mm AF-S while still keeping its older, cheaper AF-D cousin. Fortunately for savvy photographers, many copies of the 80-200mm AF-S were created and are available on the used market today. Given the buzz around 70-200mm lenses that never seems to slow, the 80-200mm AF-S was largely forgotten about which had a marvelous impact on its price on the used market. Depending on condition they range from about $550 to $900, offering pro quality performance at a budget price. Just be weary, if you are looking to purchase one they tend to be well loved and heavily used due to how good they were. Also make sure you are getting the correct lens, I've seen innumerable listings of AF-D lenses labeled as AF-S at AF-S prices. Make sure the lens has AF-S printed on it. I'd recommend first looking at a reputable used dealer such as B&H Photo before heading to Craigslist. Side note: You may notice that B&H Photo has slightly higher used prices than other dealers, this is because B&H takes the time to not only fully evaluated each lens to ensure it is in working order but also does an auto focus fine tune which no other dealer that I have spoken to includes by default. Both Nikon and Canon have had pretty impressive options in the 24-70mm zoom range for quite some time. They also come with some pretty impressive price tags, furthermore, they are also quite heavy lenses that tend become a burden through a long day of shooting. The most commonly recommended alternative usually comes in the form of the Tamron 24-70mm f/2.8 VC which is also a fantastic lens. 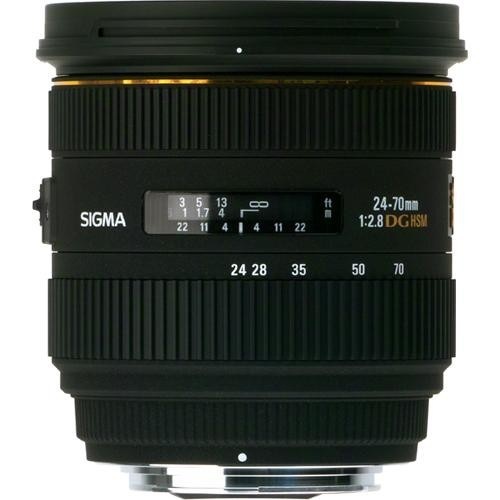 Regardless, however, I have chosen the Sigma 24-70mm f/2.8 as the mid range zoom for my camera bag. Why? It is even smaller and cheaper than the Tamron while offering comparable optics. 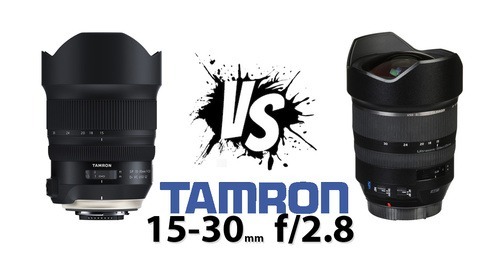 In lab tests the Tamron would almost certainly win but in day to day shooting the difference in images between the two is nearly imperceptible. I'm the sort of shooter who is going to mount a fast prime as often as he can so, for me, a 24-70mm isn't a workhorse lens, rather, it is a backup lens that spends much of its time in my bag only coming out when I'm in need of the versatility of zoom or if the prime I wanted to use is at the repair shop. Size is a huge factor in this regard and the impressively light 790g weight of the Sigma 24-70mm (compared to say the 1070g of the Nikon 24-70mm) makes it the perfect lens for the work I do. Any photographer with similar needs would be very well served by this gem of a lens that has always delivered nice, sharp images any time I've used it. 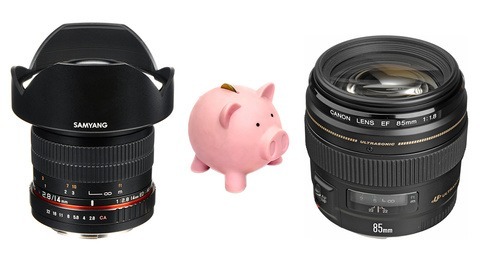 I also wanted to include a budget option in this list which led me to no other lens than the Sigma 70-300mm OS. I've had this lens for years, though I don't really use it anymore as I've mostly worn out the autofocus mechanism and it doesn't open wide enough for the sort of shooting I'm mostly doing these days. I originally received this lens shortly after it first came out. I didn't buy it, rather, I had randomly entered into a photography competition and won the Sigma 70-300mm as a prize. For about a year the thing sat on a shelf. I figured a cheap super zoom was junk so I never really got around to using it. Until one day I needed 300mm of reach so decided to give it a whirl. I was blown away by the optical quality of the lens. Sure it is slow but it is also very sharp. By far the sharpest super zoom I've ever used and with the help of quite impressive OS the Sigma 70-300mm is actually quite capable of creating magnificent images. For anyone looking to get into a telephoto zoom in the sub $500 price range this lens zips ahead of the competition. Note: I am considerably less impressed by the non-OS Sigma 70-300 that sells for under $200. Any images I've seen taken with it tend to live up to the more conventional wisdom suggesting super zooms generally do not perform well. The best lens isn't always the one with the highest price tag and latest engineering. The best lens is the one that enables you to make the images you want to make without becoming too much of a burden on your wallet. Instead of emptying your bank account to chase the latest and most expensive super-lenses, explore a few less commonly considered lenses that offer great performance at a reasonable price. I had a sigma 2.8 in the past, the main problem, and it could just be me, was the zoom rotation is opposite nikons. I was shooting basketball alternating with a Nikon 70-200 2.8 and the sigma. With the speed of the game i just couldnt get used to rotating the opposite way after years of using nikon. Obviously for tripod or slower work this wouldnt be as much a problem. I shoot Canon and have the same problem with the Tamron lenses. They all go the Nikon way. Fascinating article for an amateur like me who can't afford Nikon's 'holy trinity' of 14-24, 24-70, and 70-200 f/2.8 lenses. The Sigma 24-70 was the first lens I bought when I moved to full frame two years ago. These days, I find it rather soft (although in soft light it's lovely), and I've been thinking of replacing it. Also, I agree with you about the non-OS version of the Sigma 70-300: it's a dog, and I didn't realise that the OS version was so much better. Thank you. I just want to clear it, if you have money, better don't buy those old Sigma, maybe they are not bad, but believe me, every modern lens will be sharper. 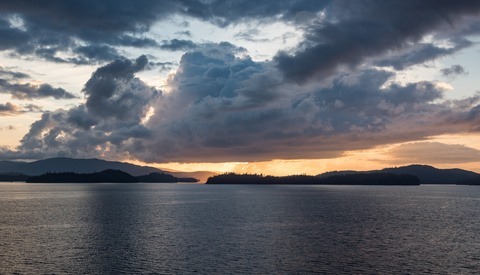 On the contrary the brand new Nikon 24-70 has taken a lot of flak for being a bit soft wide open. But, in general, yes you are right. The latest versions of the lenses likely will be sharper (at least wide open) in lab tests. The bigger question is, will it be noticeable in your images? Is 2% more edge sharpness and such worth increasing your cost investment by thousands of dollars? Thats a decision for each photographer to make based on their individual needs. At the end of the day, though, the quality of the photographer is far more important than the quality of the gear.
" At the end of the day, though, the quality of the photographer is far more important than the quality of the gear." So true, and it's sad that so many folk don't understand this. I could count myself among them in my early photographer days before the scales dropped. I'll take the quality of both. Ah, but its a catch 22, for the vast majority of photographers they only have finite resources. Take for example, two "theoretical" photographers, both have about $2700 to spend this year on photography. Photographer 1 buy the new 70-200 f/2.8E, the budget is now empty. Photographer 2 buys say that 80-200 AF-S for $600 then spends the remaining $2100 on things like travelling to great locations, working with great people, education, etc. Which photographer is likely to experience a greater improvement in image quality? It's a given that one has to make choices based on what their budgets will allow. Informative and useful article, thank you. I have to disagree about the Sigma 24-70. Just not that good really, although for it's price I suppose one can't complain too much. However the recent Tokina 24-70 is surprisingly great. Rent one from Lensrentals and try it out if you're curious. While it doesn't have stabilization, it's quite a sharp lens. A bit weak around 50mm, but otherwise excellent, and better than the Tamron. A very good deal at it's $900 price. I have heard to Tokina is pretty good, it sorta has edged towards the weight of the Nikon or Canon versions of the lens though coming it at over a kg so you are jumping up 30% in terms of weight between the Sigma and Tokina. Yeah, that's certainly the worst thing about it, it's heavy. If you can afford to be stopped down with the Sigma, it's not bad. Wide open it's rough. That's what surprised me about the Tokina. While it's a bit soft, there's no "smearing" like you get with the Sigma and Tamron at the wide end. It looks like Sigma may release a 24-70 ART at CP+, we'll have to wait and see. None of this applies to Canon owners, unless they have older bodies. Did Canon change their mount again? No. Pretty sure you would have heard about that. There's that pesky firmware though, which has rendered some older Sigma lenses incompatible with newer Canon bodies. Before purchasing it, Sigma assured me I could just drop my 13 pound lens in the mail, and they'll update the firmware for free. Any idea if the Sigmas would work if adapted to Sony E-mount? Although the 80-200 AF-S is a great lens optically, it's notorious for failing AF motor. This is common in early AF-S lenses such as the 17-35 2.8 and the 28-70 2.8. 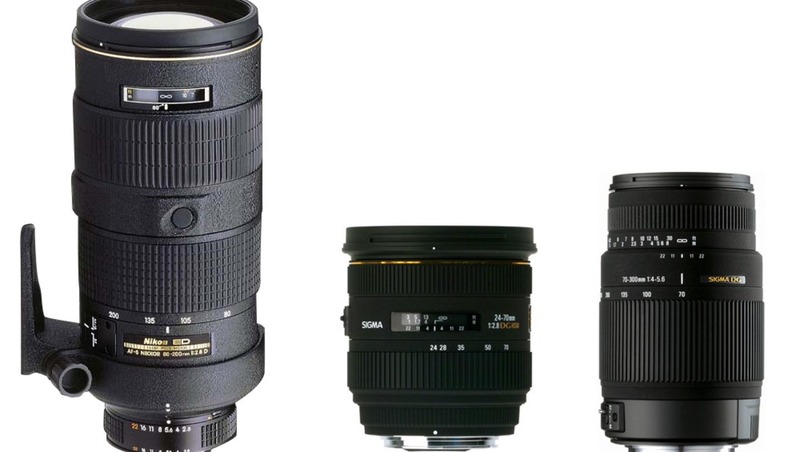 Some great value lenses come to mind, the Tammy 28-75 2.8, Nikon 105 2.5 AIS, Nikon 55 2.8 micro AIS. Careful with the nikon, there are no more spare parts for the AF motor. Sigma is no go. Think hard before you buy Sigma. 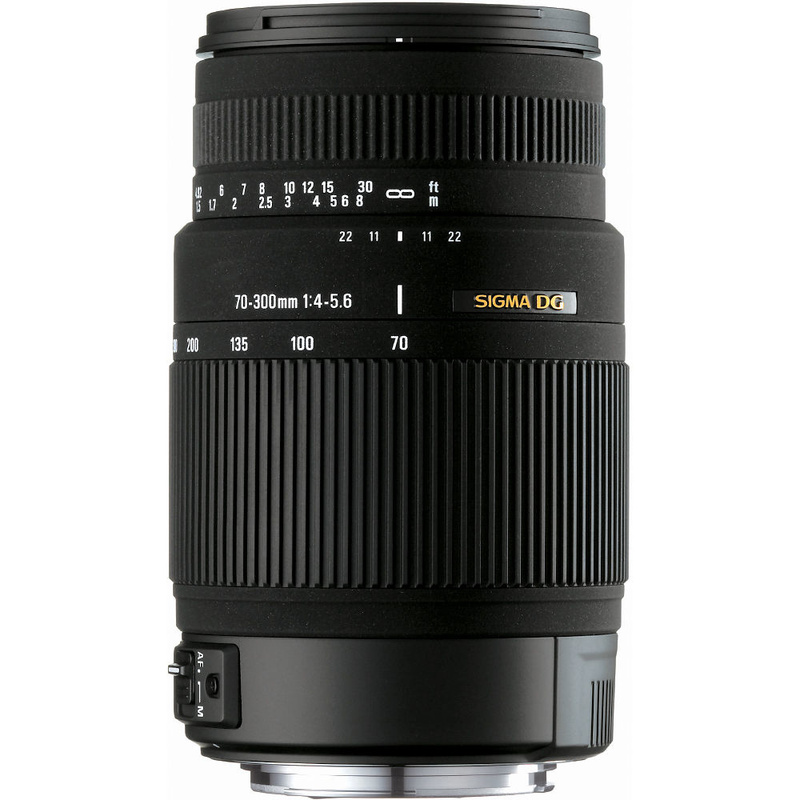 I'm assuming you had one bad experience with a Sigma lens so made a judgement to extend to the entire line? All lens manufacturers sometimes make faulty gear. None are immune to it but no reason to write any of them off based on that unless it becomes incredibly frequent, which it isn't. The older pre-USB dock Sigma lenses have compatibility issues with newer Canon digital EOS bodies. Both in terms of AF and in terms of locking up the camera if it is set to any Av other than the maximum Av. Some can be factory updated with new firmware. But even if an updated firmware is available for such an old lens the cost of doing it removes the value of the lens as a low cost option. Agree with Hussain Hijazi.I had to get my 80 200 Afs Serviced when its motor stopped working. Still Using it. Its Sharp lens corners sometimes lil soft on my D800. Forget the new lens and take your family on holiday and take more happy snaps - time is precious and limited.